We talked about her perfect face. When I found out I was going to interview Shay Mitchell, almost everyone I told talked to me about her face. They used the following words almost exclusively: “glowing,” “beautiful,” “unreal,” “perfect.” When I met Shay I realized it was true. She has an incredibly perfect face—almost alarmingly so. Before our interview I was about to compliment her red lipstick or her hair when she mentioned how much she liked my eyebrows. Considering hers are also amazing, I will cherish this compliment forever. In all seriousness, for someone with such flawless skin, Shay’s beauty routine isn’t as insane as one may think. 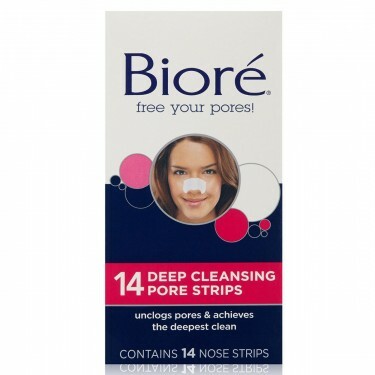 As the face of Bioré skincare, Shay’s favorite product is their pore strips, which can be found at your local drugstore and a box only costs around $8. 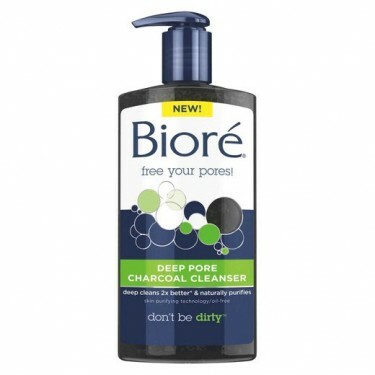 Bioré most recently released a limited-edition tie-dye version and partnered with Girl Up and the SchoolCycle initiative, which provides bicycles for girls across the world who need transportation to better their everyday lives. Not only do they clear your pores but, in the words of Shay, “they’re all things peace and love, which is great right now—and all the time.” When I sat down with her at Locanda Verde, she talked all about her foray into beauty vlogging, why she wet-wipes down all her hotel remotes, and the least glamorous beauty products in her cabinet.